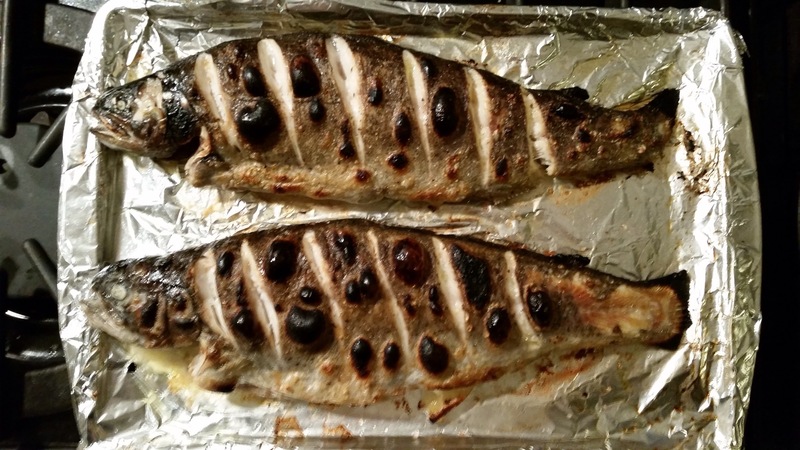 Whole Broiled Trout | Mommy. Foodie. Athlete. 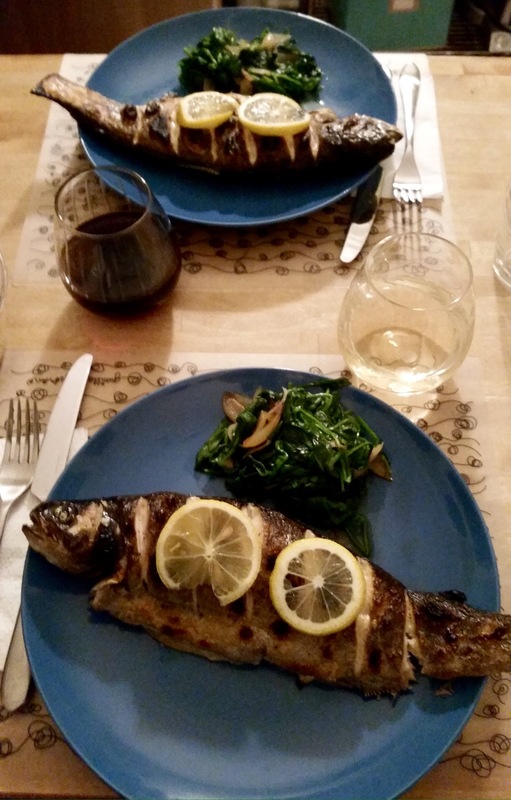 Around here we LOVE eating a whole fish! The flavors are incredible when cooked whole, it reminds us of our Mediterranean honeymoon, and it allows us to slow down and truly enjoy a meal together. Pair this awesome (and simple) recipe with a quick batch of sauteed spinach and you have an incredible feast! This was the first time I tried to eat a whole fish with a baby in my arms and that proved interesting. A word of advice: go to a fish market where they know what they are doing. You want it gutted, scaled, and trimmed. 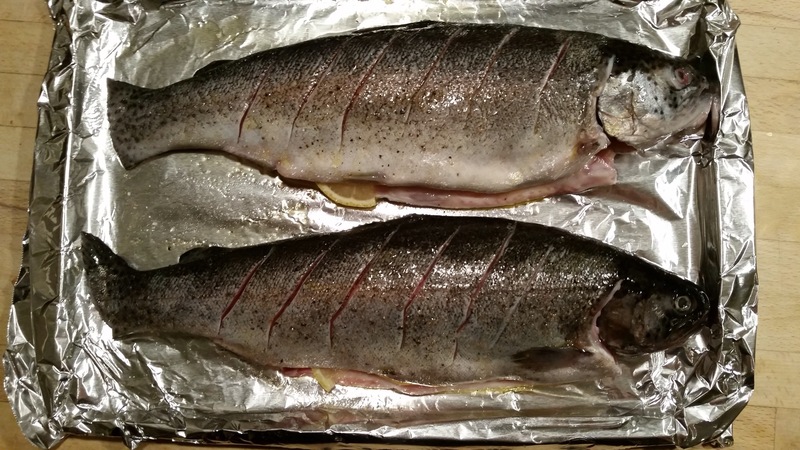 Yes, you can do this yourself (and you will have to if you were lucky enough to catch the fish yourself), but it so much easier (and cleaner on your kitchen) to have them take care of the dirty work! 1. Preheat the broiler with the rack about 7 inches away. 2. Line a cookie sheet with foil. 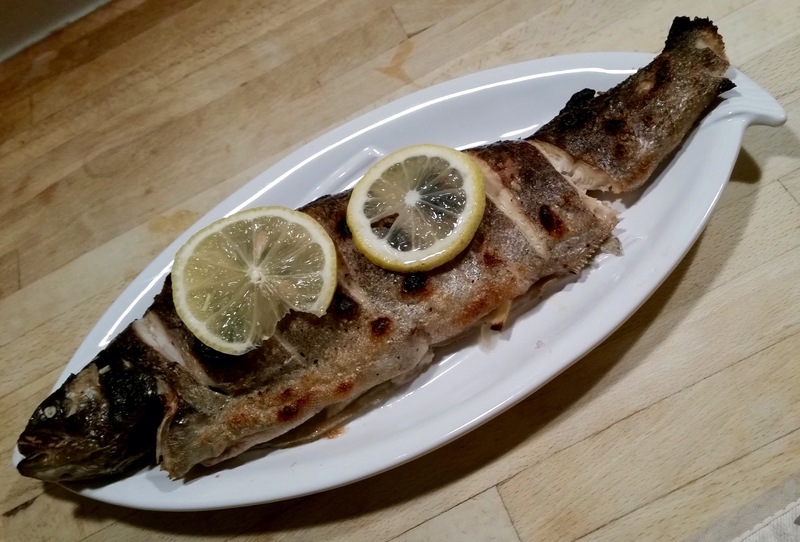 Place the fish on it and score both sides 5-6 times with a very sharp knife. Drizzle both sides with olive oil and generously season with salt and pepper. Cut half of the lemon into slices and stuff them in the cavity. 3. Broil for 5-6 minutes (until skin crisps), flip, and cook until other side is crispy as well. 4. Serve hot with slices of the remaining lemon.